The Easy Wholefood Lunchboxes eBook is packed with 40 delicious nut-free, sweet and savoury wholefood recipes your kids will love! It includes 20 savoury and 20 sweet recipes created to nourish your kids growing minds and bodies while tantalising their tastebuds. 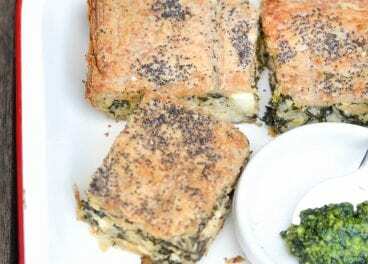 All the recipes are kid-tested and kid-approved, fun to look at, fun to eat, and will give your kids something to look forward to and get excited about at lunchtime. 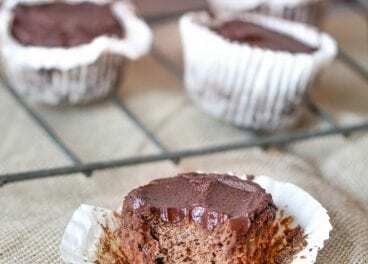 The recipes in Easy Wholefood Lunchboxes contain easy to source ingredients, are easy to make, and freezable too. So you can make the recipes in bulk and just throw them into their lunchboxes like a true lunchbox ninja! Contains a rich variety of 40 easy to follow, nourishing recipes. 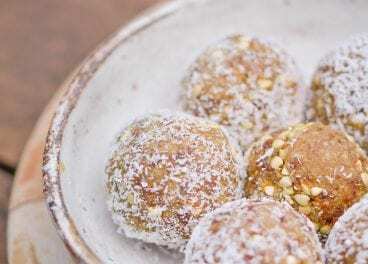 20 savoury and 20 sweet nut-free and refined sugar free recipes. 98 pages of inspiration including beautiful images for each recipe. 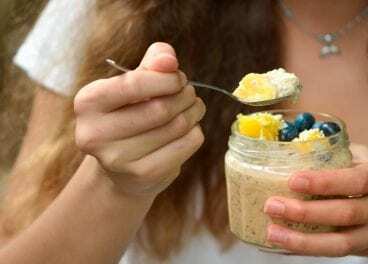 Recipes that provide fuel for our children’s learning and play, providing brain power and energy to get through the day. Fresh ideas which are tasty and nutritious. Quick recipes for time-poor parents. A list of my favourite lunch boxes, bottles and containers. 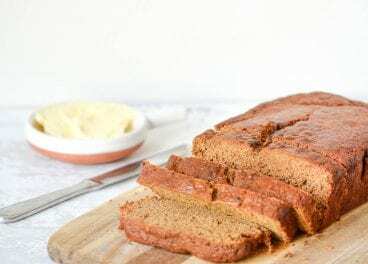 A list of simple ingredient swaps which enrich the nutrition of the recipes. 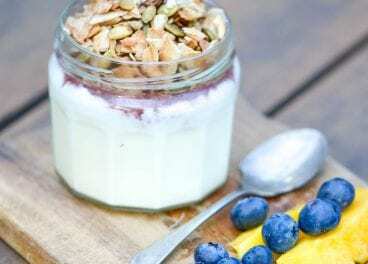 Recipes that can also be eaten for breakfast, snacks or dinner. 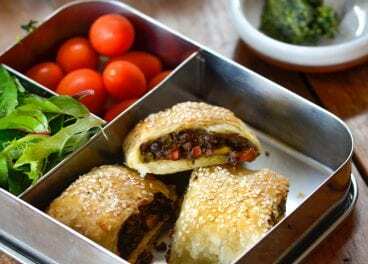 Recipes that are great for grownups lunchboxes too. Recipes that can be cooked in bulk and frozen ahead of time. Ingredients that are affordable and easy to source. Kid-tested and kid-approved recipes so lunchboxes will come back from school empty #winning. I’ve always loved cooking Brenda’s recipes. They have the ultimate balance of being nutritious and delicious. And I know my kids always enjoy everything I cook from Brenda’s recipes. 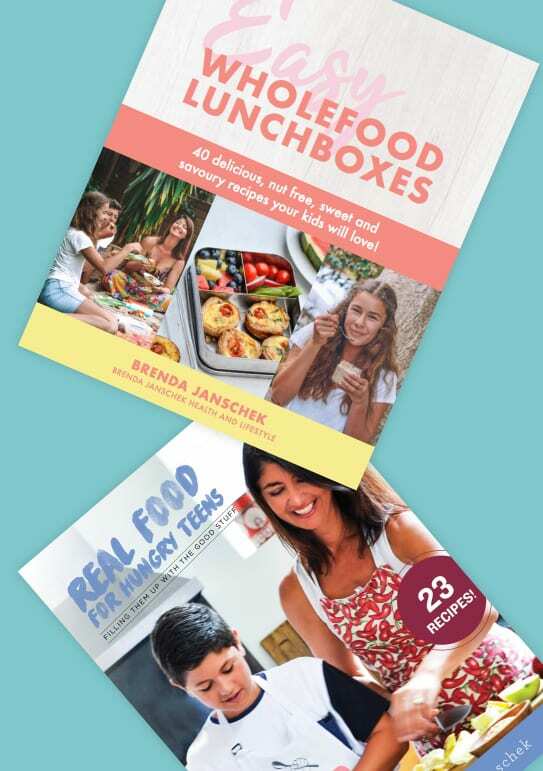 So I was pretty excited when Brenda released her new e-cookbook just in time for my back to school freezer prep cookup. I love the fact that Brenda is an experienced lunch box packer! 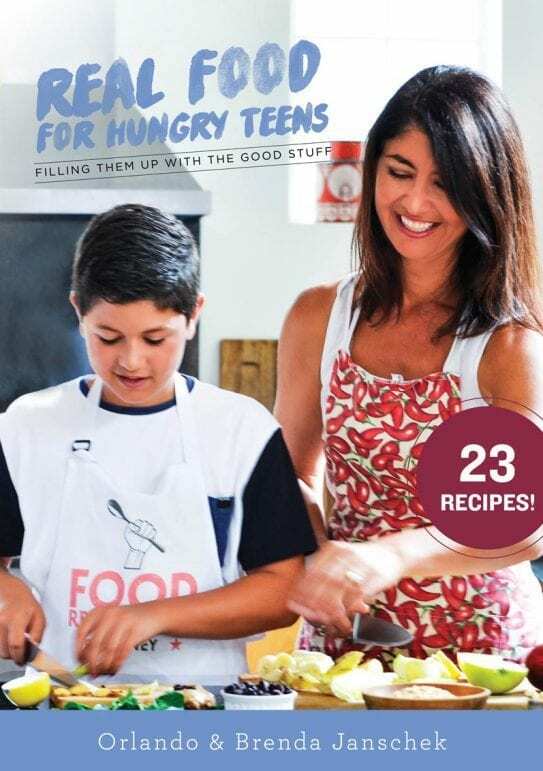 The recipes in the book have been used on her kids; they are tried and tested, therefore I knew my kids would love them too!So far I’ve cooked loads of recipes from the book, and I have thoroughly enjoyed them, the kids (4 & 5) have loved them and hubby, who’s a chef, has given them the thumbs up too! My freezer is now full of delicious nutritious lunchbox fillers to make lunchbox packing super easy in the mornings. Thank you so much Brenda! Can’t wait for your next cook book ? So thrilled to hear you’ve hit the ground running with the recipes and that they are hit with the whole family. High praise indeed from Chef Hubby! I’m so glad my sister recommended Brenda’s new lunchbox cook book to me! Mr 4 is off to kindy this year and I’m a novice in lunch box prepping. I’ve tried several recipes from the book so far and the kids have loved them all. The kids have enjoyed choosing the recipes we will cook, they loved helping in the kitchen, and of course, have enjoyed tasting each dish too! My freezer is now full and I’m all ready and waiting for school to start and Mr 4 is now looking forward to going to school just to tuck into his lunch box! I’m so glad Mr 4 won’t be heading off to school each day with a ham sandwich like I did, everyday, for years. ? Thank you so much Brenda for sharing your knowledge and experience in preparing healthy yummy lunchboxes that the kids will love. This truly makes my heart so happy to hear Isabelle. So love that you’ve got Mr 4 involved in the whole process to! Brenda I am so glad I bought this book. It’s only been a few weeks and I’ve already been back to it time & again. The recipes are not intimidating “health food”, which I love. They’re just real food, simple & fast. And there are so many it will take months to try them all, can’t wait. We started with the apricot bliss balls and before I’d even rolled one ball, after tasting the mix I decided to double it. 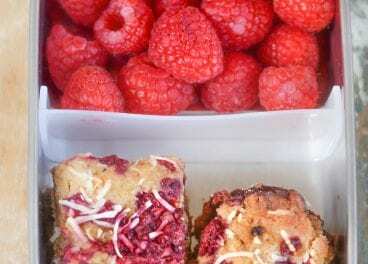 We’ve made the cinnamon french toast, and the raspberry coconut squares are world class – they never made it to the freezer (confession – I ate nearly all of them – but moderation is not my forte!). Thanks Annie! Moderation is overrated anyway ?So glad you’re loving the ebook. Brenda, you are a godsend! As a single mum working full-time with 2 constantly hungry 11 year old boys I sometimes struggle to find the right balance of a healthy lunch box. 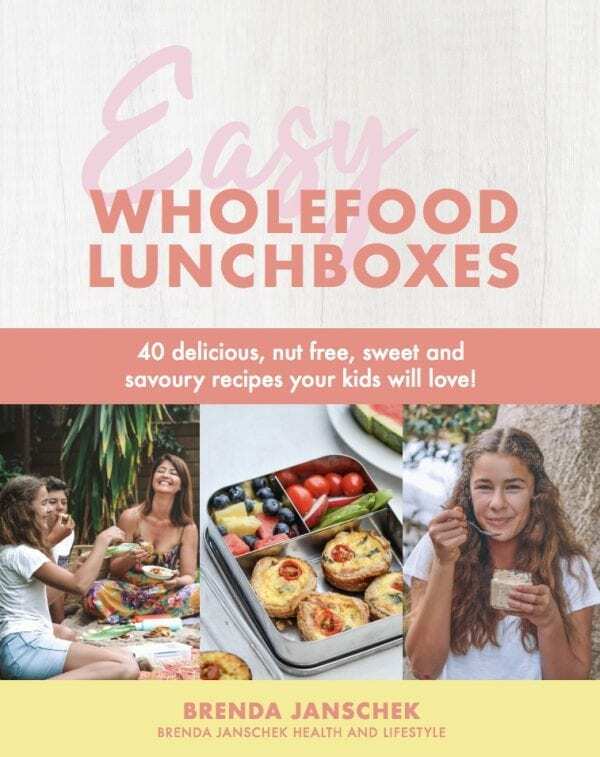 Your ebook Easy Wholefood Lunchboxes has totally inspired me to prep for the week ahead, with such simple, wholesome, packed full of flavour recipes. This week the boys have Lunchbox Vegetable Slice, Cheese and Spinach Pie and our favourite – Apricot, Orange and Coconut Bliss Balls. Thank you, you have inspired me! I love cooking your recipes Brenda! Always yummy and straight forward to make! I’m loving this lunch book! Love that most are freezer friendly, which is a total winner and sure takes the overwhelming feeling that creeps in around Sunday night! The date and oat slice is a staple and always in the freezer, the raspberry and coconut slice, spinach pie and hummus have been favourites so far! Thanks for getting me through the week Brenda ? Lots of quick and easy ideas and lots of variety for inspiration. Thank you Brenda! 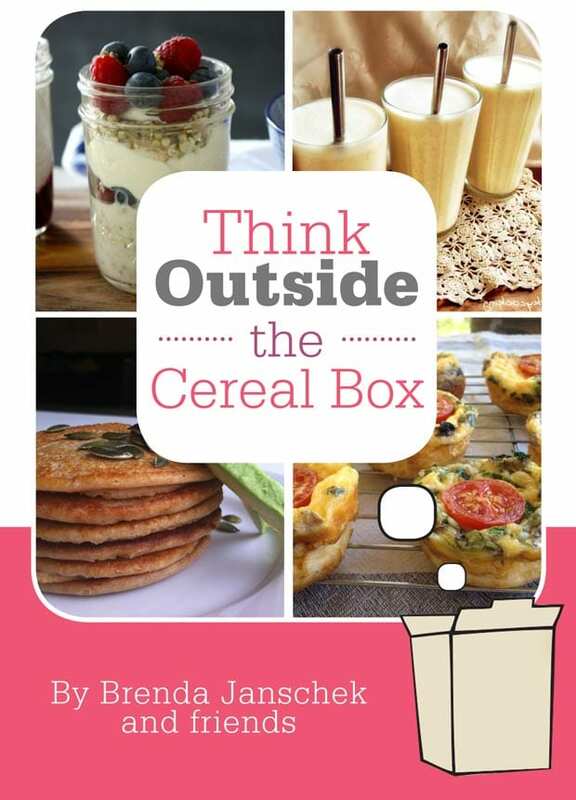 Brenda’s e-book is fantastic, a great collection of recipes for the lunchboxes or anytime. Every one we’ve tried so far is delicious and freezes well (if they make it that far before being eaten!). 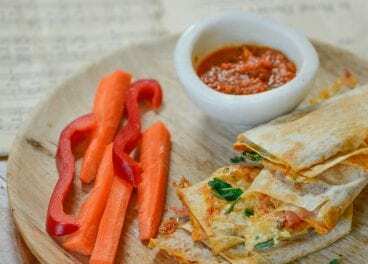 I love the mix of sweet and savoury recipes as I find savoury lunch items the hardest to think of for school. The ingredients add extra nutritions while being so tasty so it’s a win win. Thanks Brenda it’s fantastic! Thanks so much Angie. I’m so glad to hear that your family are enjoying the recipes. Sounds like you might have to make double of their faves so you’ve got that saving grace freezer stash!